Turkish Cypriots and the European Union have somewhat strained relations because the European Union (EU) does not recognise the self-declared Turkish Republic of Northern Cyprus. Due to the Cyprus dispute, TRNC is recognized only by the EU candidate state Turkey. All other countries recognise the Republic of Cyprus, an EU member state, as the only legitimate government for the whole island. However the Republic of Cyprus de facto controls only the south of the island while the TRNC government controls the north. Due to this dispute, northern Cyprus is de jure part of the EU by virtue of de jure being part of the Republic of Cyprus. It was hoped that the accession of the south in 2004 would provide the catalyst for unification so that a unitary state of Greek Cypriots and Turkish Cypriots could join the EU on 1 May 2004. In the end, Turkish Cypriots supported reunification, also because it would allow them to join the EU. However, the unification plan was voted down by the Greek Cypriots and Cyprus joined the EU in the face of the Republic of Cyprus. As of 2018[update], the EU recognises the north as being outside the control of the Greek Cypriot–led government of the Republic and hence is temporarily exempt from EU legislation. The euro also does not officially circulate in the north (although it does have widespread usage) and the Schengen agreement is not in effect in Cyprus due to complications in security at the external border to the north. The free movement of goods, capital, services and people is also not in effect. Turkish Cypriots are considered citizens of the European Union as the EU considers them Cypriot citizens, merely living in a part of Cyprus outside of the control of the Republic of Cyprus. However, seats in the European Parliament are allocated based on the population of both north and south Cyprus together. Due to the problems in getting Turkish Cypriots to vote, this has been criticised and there have been proposals to have observer members direct from the north to sit in Parliament in order to represent those citizens. Naturalised citizens of TRNC or foreigners carrying a passport stamped by TRNC authorities may be refused entry by the Republic of Cyprus or Greece, although after the accession of the Republic of Cyprus to the EU such restrictions have been eased following confidence-building measures between Athens and Ankara and the partial opening of the UN-controlled line by TRNC authorities. The Republic of Cyprus also allows passage across the Green Line from the part of Nicosia that it controls, as well as a few other selected crossing points, since TRNC does not leave entry stamps in the passport for such visits. Since May 2004 some tourists have taken to flying to the Republic of Cyprus directly then crossing the green line to holiday in northern Cyprus. Northern Cyprus is legally part of the EU, but law is suspended due to north being under the control of the Turkish Republic of Northern Cyprus, which the EU does not recognise. The North uses the Turkish lira instead of the euro, although the euro circulates alongside the lira and other currencies. On the resolution of the Cyprus dispute and the reunification of the island, the euro would become the official currency of the north also. Adoption by the North would be the first time the euro has replaced use of another currency that hasn't ceased to exist after euro adoption. Euro adoption would help to address inflation in the North by bringing in price stability. Cypriot euro coins already bear the name of Cyprus in both Greek and Turkish, displaying representations of natural and ancient Cypriot history. In wake of the April 2004 referendum on unification, and the support of the Turkish Cypriot community for the plan, the European Union made pledges towards ending the isolation of northern Cyprus. The proposal for trade between the EU and the Turkish Cypriots was never implemented due to opposition from the Greek Cypriots, who argue that trade would amount to indirect recognition of the TRNC. Proposals to open up trade were discussed by Parliament again in 2010, but still opposed by the Republic of Cyprus. The EU has assisted the Turkish Cypriots towards their development and preparation to apply EU law, when reunification would mean the application of EU law throughout Cyprus. Through the Financial Aid Regulation, the EU has funded infrastructure projects, civil society and has provided training on EU law. To manage the interaction with the EU, the Turkish Cypriots have introduced a series of institutions, such as the EU Coordination office. The Green Line Regulation has been implemented to regulate movement through the 'Green line', the border that separates Greek Cypriot and Turkish Cypriot areas, and to help the economic development of the Turkish Cypriots. In order to avoid recognising the TRNC by implication, The European Commission has dealt with the Turkish Cypriot Chamber of Commerce rather than ministerial authorities, which would have been the norm. This offered the chamber an important role in the relations with the EU. ^ "The European Union and Cyprus: The Awkward Partnership". EurActiv.com. Retrieved 16 March 2016. ^ "MEPs consider Turkish Cypriot observers in EU parliament". Retrieved 16 March 2016. ^ "Visa requirements for Cyprus". Archived from the original on 21 August 2007. Retrieved 16 March 2016. ^ "Direct Traveller Flights Information". Direct Traveller - Tailor Made Holidays. Retrieved 16 March 2016. ^ "Aid Programme for the Turkish Cypriot community". Retrieved 16 March 2016. ^ "The Europeanisation of Contested Statehood". Retrieved 16 March 2016. ^ "Comparative European Politics - Abstract of article: A model of /`contested/' Europeanization: The European Union and the Turkish-Cypriot administration". Retrieved 16 March 2016. The Republic of Cyprus is a unitary presidential representative republic, whereby the President of Cyprus is both head of state and head of government. Executive power is exercised by the government. Legislative power is vested in both the government and the parliament. The Judiciary is independent of the executive and the legislature. The Cyprus dispute, also known as the Cyprus conflict, Cyprus issue, or Cyprus problem, is an ongoing dispute between Greek Cypriots and Turkish Cypriots in the aftermath of the 1974 Turkish military invasion and occupation of the northern third of Cyprus. Although the Republic of Cyprus is recognized as the sole legitimate state – sovereign over all the island – the north is under the de facto administration of the self-declared Turkish Republic of Northern Cyprus, which is guarded by Turkish Armed Forces. Only Turkey recognizes the Turkish Republic of Northern Cyprus, while there is broad recognition that the ongoing military presence constitutes occupation of territories that belong to the Republic of Cyprus. According to the European Court of Human Rights, the Turkish Republic of Northern Cyprus should be considered a puppet state under effective Turkish control. Northern Cyprus, officially the Turkish Republic of Northern Cyprus, is a de facto state that comprises the northeastern portion of the island of Cyprus. Recognised only by Turkey, Northern Cyprus is considered by the international community to be part of the Republic of Cyprus. Mehmet Ali Talat is a Turkish Cypriot politician who served as the President of Northern Cyprus from 2005 to 2010. Talat is the leader of the social democratic Republican Turkish Party, having previously held this position between 1996 and 2005. He became prime minister in 2004, and subsequently won the presidential election held on 17 April 2005. Talat was inaugurated on 25 April 2005, succeeding retiring leader Rauf Denktaş. He lost the presidential election of 2010 and was replaced by Derviş Eroğlu as President. A referendum on the Annan Plan was held in the Republic of Cyprus and the breakaway Turkish Republic of Northern Cyprus on 24 April 2004. The two communities were asked whether they approved of the fifth revision of the United Nations proposal for reuniting the island, which had been divided since 1974. While it was approved by 65% of Turkish Cypriots, it was rejected by 76% of Greek Cypriots. Turnout for the referendum was high at 89% among Greek Cypriots and 87% among Turkish Cypriots, which was taken as indicative of great interest in the issue on the part of the electorates. Lefkoniko is a town in the Mesaoria Plain of Cyprus. It is under the de facto control of Northern Cyprus. Lefkoniko is the birthplace of Cypriot national poet Vasilis Michaelides and is known for its lace. 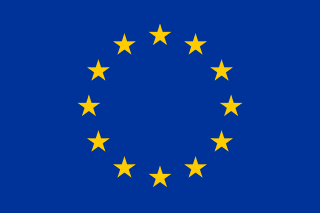 The European Union Customs Union (EUCU) is a customs union which consists of all the member states of the European Union (EU), Monaco, and some dependencies of the United Kingdom which are not part of the EU. Some detached territories of EU members do not participate in the customs union, usually as a result of their geographic separation. In addition to the EUCU, the EU is in customs unions with Andorra, San Marino, and Turkey, through separate bilateral agreements. The international status and usage of the euro has grown since its launch in 1999. When the euro formally replaced 12 currencies on 1 January 2002, it inherited their use in territories such as Montenegro and replaced minor currencies tied to the pre-euro currencies, such as in Monaco. Four small states have been given a formal right to use the euro, and to mint their own coins, but all other usage has been unofficial outside the eurozone. With or without an agreement these countries, unlike those in the eurozone, do not participate in the European Central Bank or the Eurogroup. The Treaty of Accession 1994 was the agreement between the member states of the European Union and four countries, concerning these countries' accession into the EU. It entered into force on 1 January 1995. The Treaty arranged accession of Austria, Finland and Sweden to the EU and amended earlier Treaties of the European Union. As such it is an integral part of the constitutional basis of the European Union. Norway failed to join the EU because its referendum did not pass. The Treaty of Accession 1985 was the agreement between the member states of the European Communities, Spain and Portugal, concerning these countries' accession into the EC. It entered into force on 1 January 1986. The Treaty arranged accession of Spain and Portugal to the EC and amended earlier treaties of the European Communities. As such it is an integral part of the constitutional basis of the European Union.